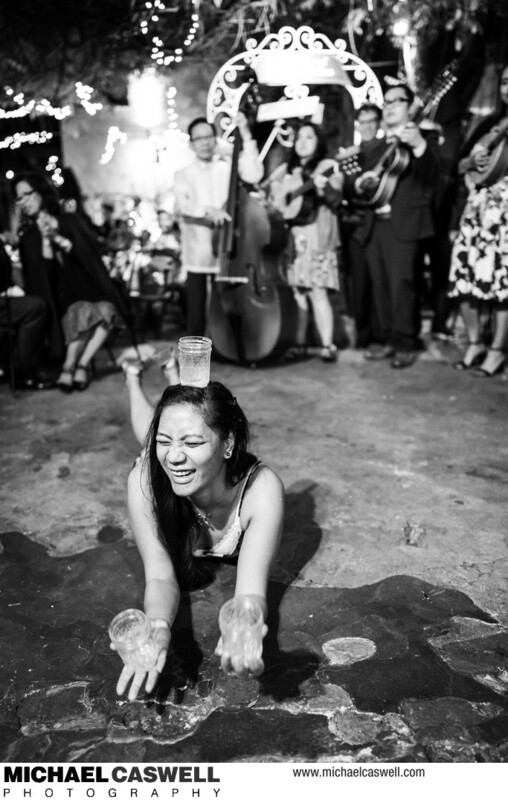 I don't think you can get any more uniquely New Orleans than this New York couple's fabulous wedding, with a ceremony in the iconic St. Louis Cathedral and a reception at famous Court of Two Sisters in the French Quarter! 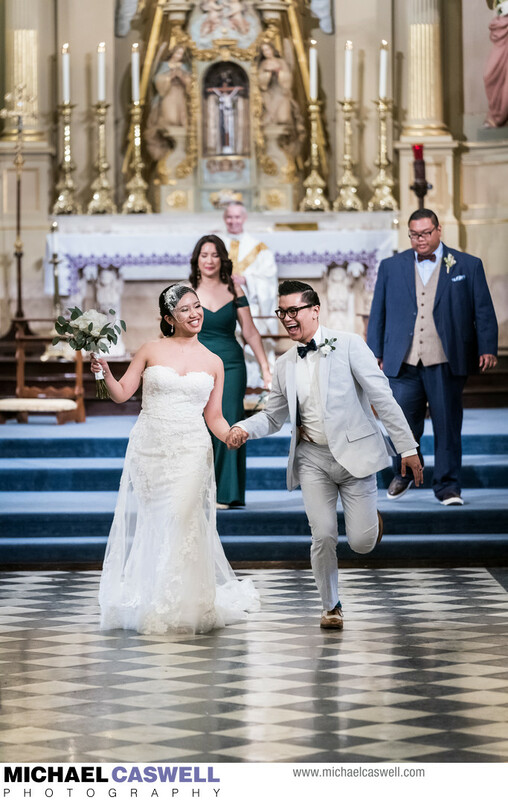 Their ceremony featured an amazing array of music… members of the Rondalla Club of Los Angeles played the processional and recessional, a choir group sang several times, along with a number of soloists, and the groom, himself an accomplished and talented musician, took a seat at the piano with his bride at his side to play a piece during communion. 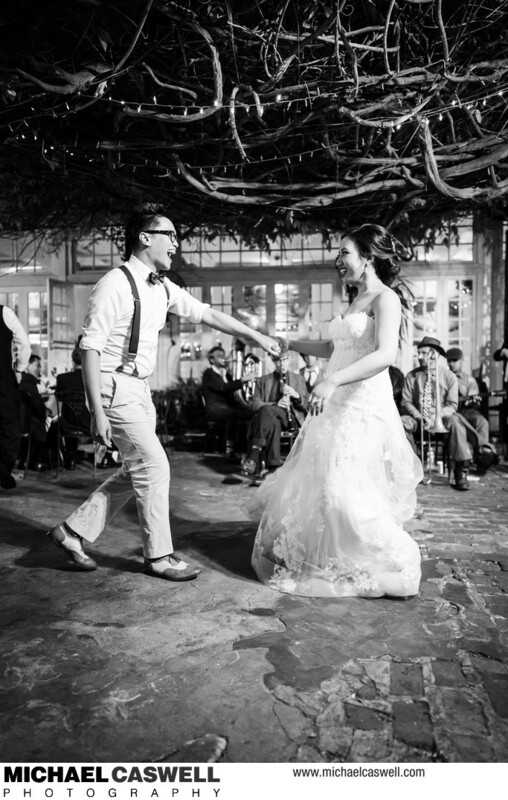 Music played other prominent roles as well, with the ring bearer carrying the rings in an instrument case, and the groom's wedding ring was hand-crafted out of special tonewoods by a musical instrument maker. 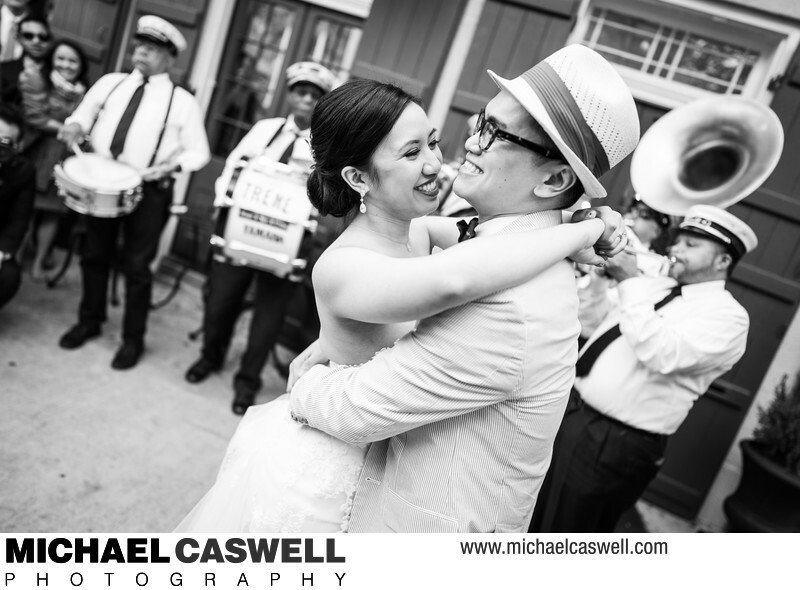 After some portraits around the French Quarter, we all regrouped at the Royal Frenchmen Hotel in the Marigny, where the couple had a truly unique first dance... right there on the sidewalk on Frenchmen Street, surrounded by friends and family, with the Treme Brass Band playing behind them. 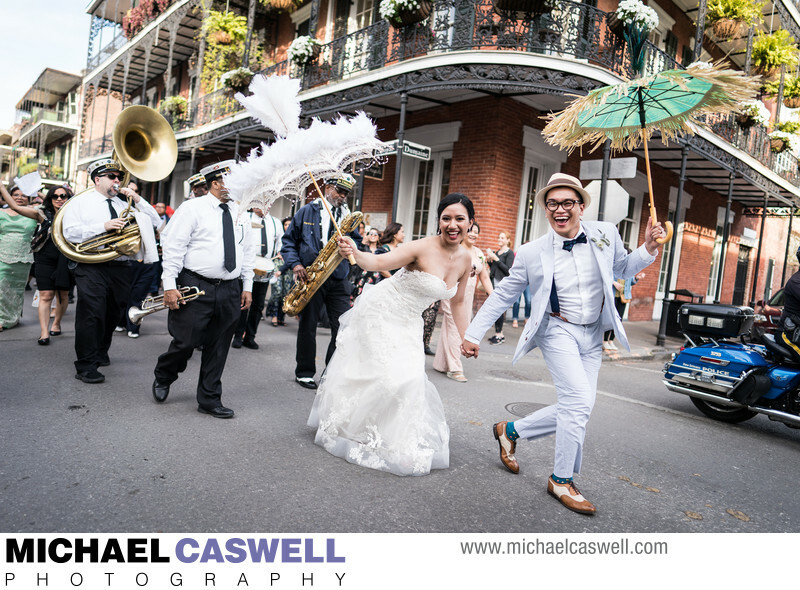 We then headed straight down Royal Street in an awesome second line parade, ending up at the Court of Two Sisters, where the reception was to take place in the spacious and beautiful courtyard. 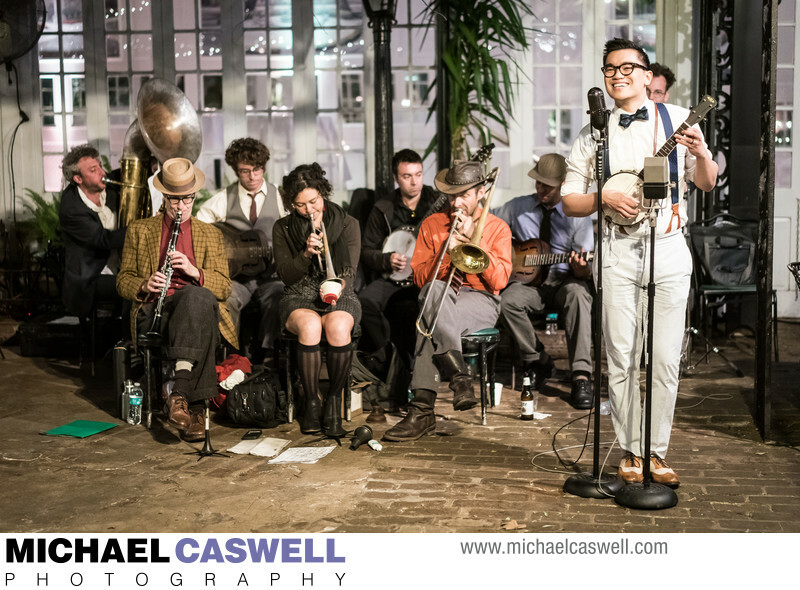 There, Sandra and Will's favorite New Orleans band, Tuba Skinny, provided the most authentic jazz music you'll ever hear at a wedding reception, and Will pulled out his banjo ukulele to play a song he wrote for Sandra. Later, the Rondalla Club of LA also played a few pieces as guests engaged in some traditional Pilipino folk dances. Location: Royal St, New Orleans, LA 70130.